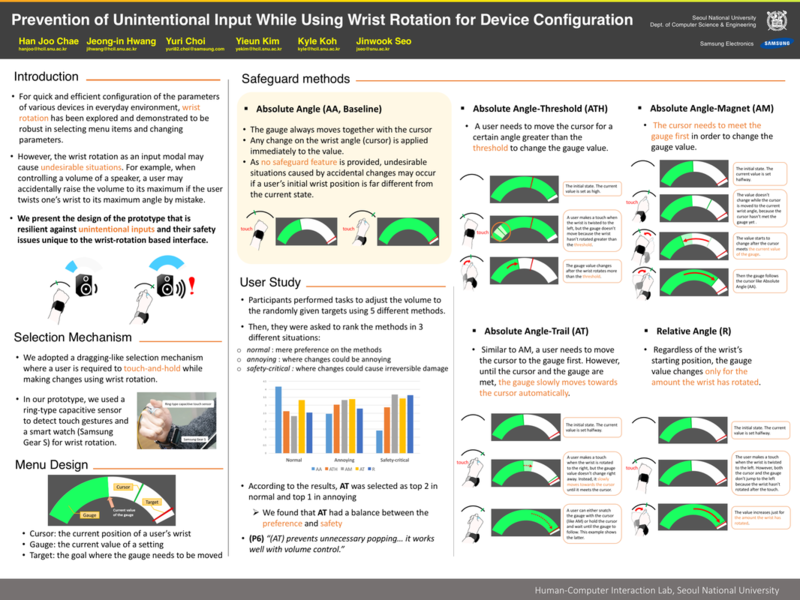 Configuring multiple IoT devices using wrist rotation can potentially cause usability and safety issues. 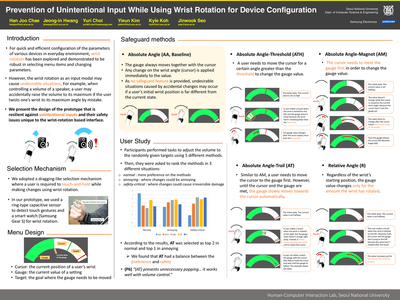 Here we describe the design of the safeguard interface that helps users avoid unintentional input while using wrist rotation. When configuring the parameters of various devices, our interface helps reduce the chance of making accidental changes by delaying the result of input and allowing the users to make deliberate attempt to change the parameters to their desired value. We evaluated our methods with a set of user experience and found that our methods were more preferred when the end-results of configurational changes of the devices become more critical and can cause irreversible damage.